Of course Styrofoam floats on water, but have you ever seen it float in midair? 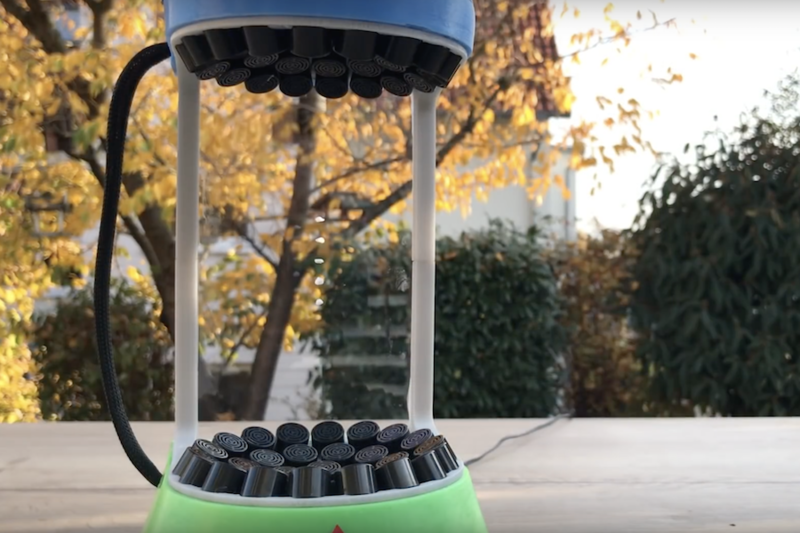 That’s exactly what Julius Kramer’s 3D-printed acoustic levitator does, using an array of 72 40kHz ultrasonic transducers to form standing waves of low and high pressure. 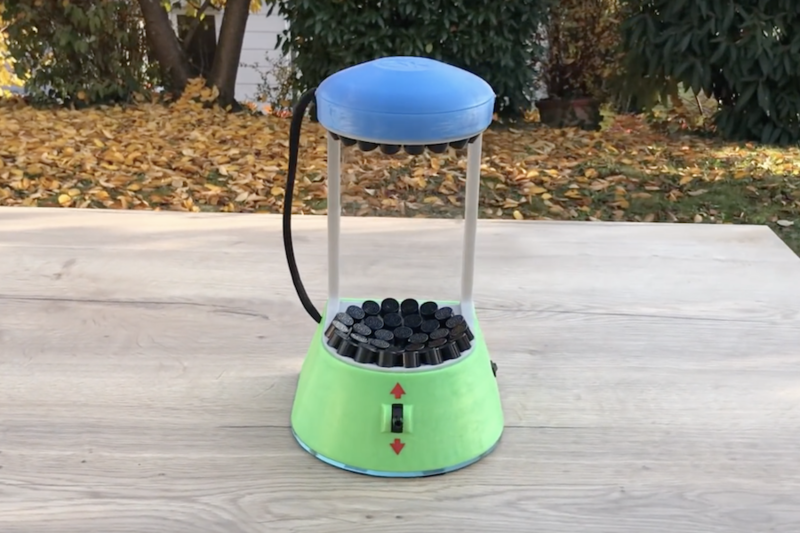 When turned on, he’s able to simply insert a tiny foam ball which hovers like magic. If this seems familiar, his Arduino Nano-powered device is based on work by Asier Marzo, Adrian Barnes, and Bruce W. Drinkwater. What’s interesting about Kramer’s build is that he does a great job illustrating how it works, starting at around 3:00 with an oscilloscope, and continuing on with diagrams, and even a visualization of the waves using steam. He also shows off a miniature version at around 6:00, which while less capable, could make this type of project approachable for those that don’t feel like soldering six dozen small speakers together!